In 2013, Landsvirkjun was in the process of assessing twenty potential power projects all over the country. The proposed parliamentary resolution on the Master Plan for Hydro and Geothermal Energy Resources in Iceland was approved in January, 2013. The Master Plan ranks energy projects and divides them into three main categories: ‘appropriate for development’, ‘under consideration’, and ‘protected’, in accordance with Act No 48/2011 on the Conservation and Energy Utilisation Plan. There are presently 67 projects under consideration; 16 of these have been placed in the appropriate for development category, 31 are under consideration and 20 are in the protected category. The parliamentary resolution is expected to be reviewed on a four year basis, or less. Landsvirkjun is considering potential power projects in various locations around the country. 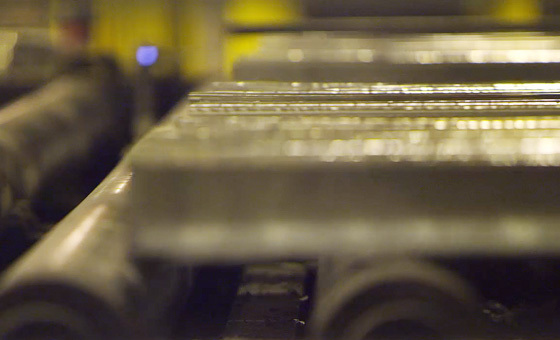 Each one is at a different stage in the preparation and licensing process. The parliamentary resolution on the Master Plan, proposed by the Minister for the Environment and the Minister for Industry and Commerce, was approved in January, 2013. Amendments were made to the initial ranking system, outlined in the original proposal for a parliamentary resolution. Five potential power projects were moved from the appropriate for development category to the under consideration category. These included three potential power stations in the lower region of the Þjórsá River and the Skrokkalda and Hágöngur power projects. Out of the several hydropower proposals put forward by Landsvirkjun only one potential power project, in the Blanda water catchment area, was considered appropriate for development. Potential power projects in the Jökulsá River in Skagafjörður, in Skjálfandafljót, in the lower regions of Þjórsá and in Skrokkalda (along the Kaldakvísl waterway between Hágöngulón and Kvíslaveita) were placed in the under consideration category. Two alternative proposals put forward by Landsvirkjun (in conjunction with Orkusalan) for the Hólmsá River were also placed in the under consideration category. The proposed power projects at Norðlingaalda, Tungnárlón and Bjallar were all placed in the protected category, despite the fact that these were three of the most feasible proposals put forward by Landsvirkjun. 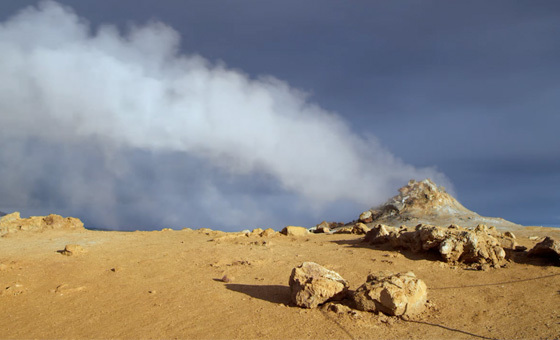 Three of the geothermal projects proposed by Landsvirkjun; the Bjarnarflag, Krafla and Þeistareykir power projects were placed in the appropriate for development category. The Hágöngur and Fremrinámar projects were placed in the under consideration category and the Gjástykki project was placed in the protected category. A new Steering Committee was given the priority task of completing the review of the five potential power projects whose status was changed by the Ministries and the Icelandic parliament and two other projects where the prior committee had reached a conclusion without considering all the available documentation. The projects under review were the three potential power projects in the lower regions of the Þjórsá River (moved to the under consideration category due to uncertainty surrounding the impact on salmon), a hydropower project at Skrokkalda and a geothermal project at Hágöngur (as a result of concerns with regard to the buffer zone in the Vatnajökul National Park), the Hólmsá hydropower project and the Hagavatn hydropower project. The Steering Committee came to the conclusion that only three power projects in the lower regions of the Þjórsá River could be reviewed without appointing new expert committees and this work could not be completed before the end of the year. The Steering Committee put forward a proposal in December, recommending that the Hvammur project should be moved into the appropriate for development category and that the Holta and Urriðafoss projects would remain in the under consideration category. A resolution is expected from the Icelandic parliament this spring but there is some uncertainty as to how the review of the other power projects will be conducted. In November, 2013 the National Energy Authority requested information on the proposed power projects put forward for consideration, for the third phase of the Master Plan. Landsvirkjun outlined its intention of putting forward documentation pertaining to 24 power projects for consideration. 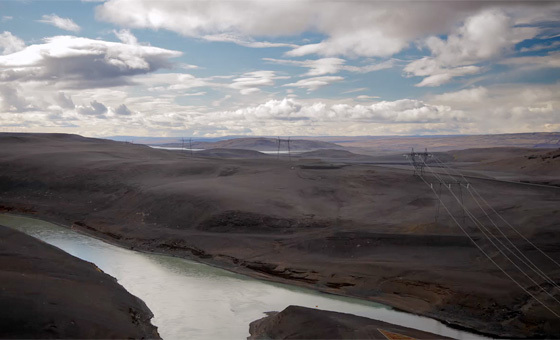 These include three new proposals: The harnessing of Stóra Laxá and two wind farms (one in Hafið, to the north of Búrfell and another within a new waterway at the Blanda Hydropower Station). 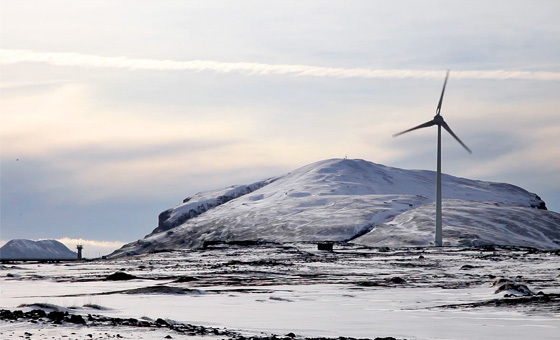 Landsvirkjun has announced plans for a review of some of the proposed power projects placed in the protected category. The proposals for the Norðlingaalda diversion, Bjallar project, Tungnaá diversion and Gjástykki project will be reconsidered by Landsvirkjun with the aim of lessening the environmental impact.